Hervé Touati was recently appointed CEO of the Energy Web Foundation (EWF), an energy Blockchain non-profit based in Zug, Switzerland, with a hub in Berlin. Touati joined the EWF from Shell, where he led the company’s Connected Energy business, focused on distributed energy resources. Touati also held senior roles at cleantech think tank Rocky Mountain Institute, E.ON Connected Energies, E.ON Climate & Renewables, and McKinsey & Co. He holds a PhD in computer science from the University of California, Berkeley. He spoke to EURACTIV’s energy and environment editor, Frédéric Simon. Blockchain can make green power certificates cheap, fast and tamper-proof, allowing peer-to-peer energy transactions. 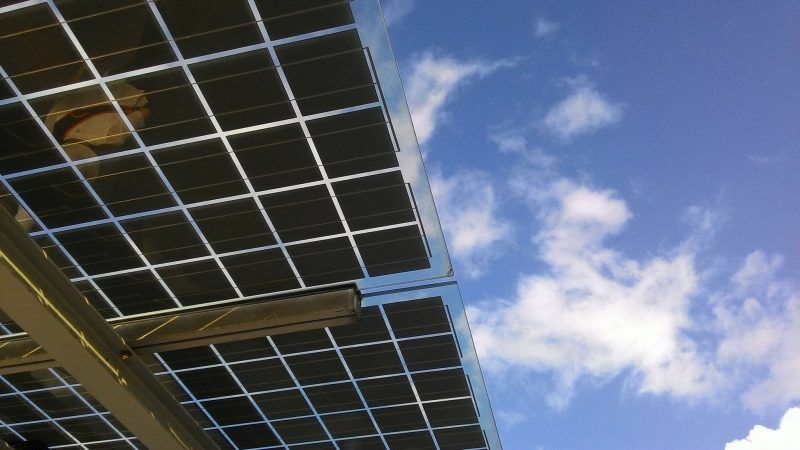 Cost of tracing solar PV production can be reduced by a factor of 5 to 10. Blockchain will force digital identities on electronic equipment, making cyber-attacks less likely. As electric cars become mainstream, Blockchain can optimise battery charging and ease pressure on power grids. Technology is operational, more work needed to scale it up. On the regulatory side, it is essential that the EU opens the distributed energy market. What is the potential of Blockchain in the energy sector? What are the main business use cases? The energy transition is about three topics: decarbonisation (putting more wind and solar in the electricity grid), decentralisation (having more distributed energy), and digitalisation (bringing the digital economy to the energy sector). And Blockchain can contribute to all three strands in different ways. Looking at decarbonisation, when you produce renewable energy, there is value associated with the fact that the energy you produce is green. Depending on the market or regulations in place, you can get renewable energy credits or certificates of origin. What Blockchain can do is to measure the production at the level of the wind or solar farm and make it tamper-proof so that we can be absolutely sure that the energy is indeed produced from a solar or wind farm. And we can put this data on a Blockchain and make it completely certified. Of course, this certification already exists today. But with Blockchain technology, you don’t need human intervention, so it’s much cheaper to do it this way. And it’s also more reliable. This means you can also track where the energy comes from, right? You can track it, indeed. And once it is tracked on the Blockchain, the same data can be used to trade. Today, somebody needs to certify the data, check that the meters haven’t been tampered with, then fill a form and send it to somebody else, etc. All these processes exist and are reliable but they take a lot of time and money. And with Blockchain, you can do it a lot faster and cheaper. And since you can do it so much faster and cheaper, it means also that anyone can participate in this type of market – normal people like you and me. 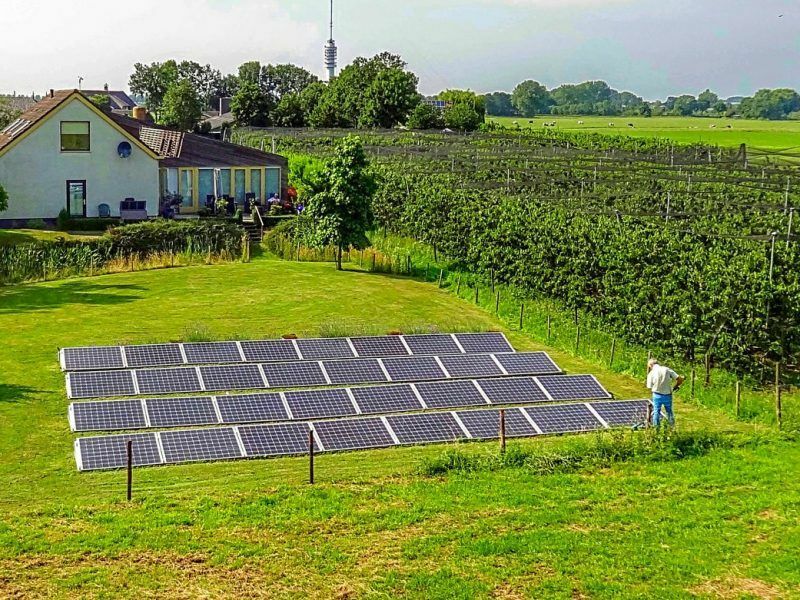 Because today, it’s so expensive to get the certifications done that only large installations do it – typically for 100MW farms but not for 10kW installations on your roof. With Blockchain, you can get certification for 10kW installations as well, so more people can participate. And as an owner of a solar farm, you can also benefit from the ability to monetise your energy credits. 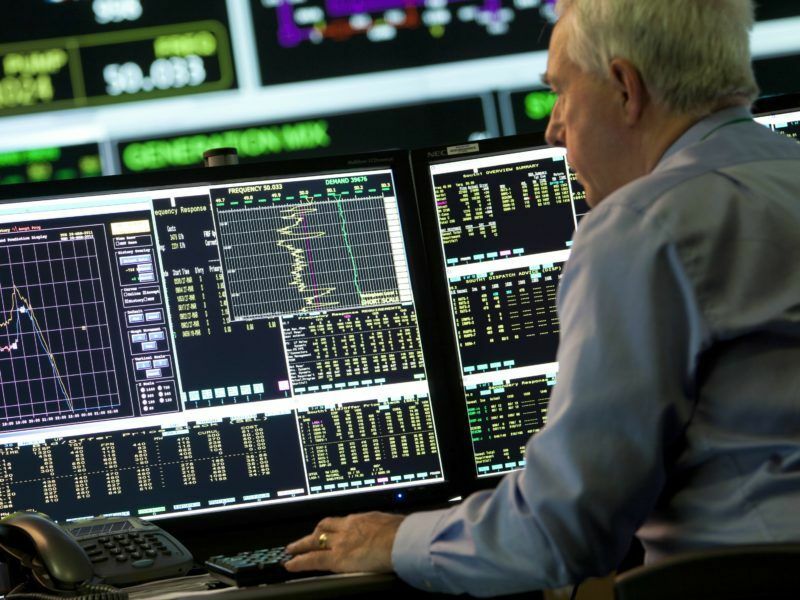 The next wave of digital innovation – and disruption – in the electricity sector will rely on artificial intelligence and Blockchain technology, according to the new boss of the European power grid operators association, ENTSO-E, who is drafting an IT roadmap for publication later this year. Is this something that is already being done or is it still experimental? It is already being done. A couple of trades have already been executed this year. A company like Engie, which is present in Belgium, has completed a transaction in April this year with one of their large customers. So yes, this technology is operational today. What is not done yet is scalability – how to go from a couple of trades per year to millions of trades per year. But that is certainly feasible today and it has been demonstrated. Another thing you can do is community solar. Here, you have a mix of potential applications for Blockchain: you can use it to trace the origin of production, but also to trace ownership. Again, you don’t need Blockchain to get a notary and a contract in order to get 100 people to share ownership of a solar PV farm. But it’s complicated and expensive. So what the technology can do is to make it a lot simpler: instead of having a physical contract signed with a lawyer or a notary, you can get a contract done with software. It might be a bit complicated the first time, but the second time it’s much cheaper and faster. In short, Blockchain is an enabler for energy communities. Exactly. And the price of solar is collapsing. To give you an order of magnitude: in the US, a PV module today costs around 30-35 cents per watt, whereas ten years ago it used to be 3-4 dollars per watt. This means the price of the hardware was divided by a factor of ten in roughly ten years. But the price of signing a contract has not changed. So what Blockchain can do is bring down the ‘soft costs’ – all the administrative and contractual overhead, which are not related to hardware. And Blockchain can bring that down also by a factor of 5 to 10. So that enables more penetration of renewable energy. That’s for the decarbonisation side. Then you have the decentralisation side. That’s about having your air-conditioning, your home battery or your electric vehicle participate to the electricity sector. In the old days, it was easy for an ISO to talk directly to large power plants because they were few and they could control them physically directly. That’s fine if you have a couple of hundred plants in a country or territory. But if you are talking about millions of individual system, it’s no longer practical. And probably not very safe either: to have one computer system directly managing one or two million devices would expose the system to bugs or, worse, cyberattacks. So what you want to do is reverse the economic logic. The ISO or DSO could send signals and the device adapts automatically to those signals while making economic transactions. For a consumer, the question could be something like this: If I have an air conditioning system at home, am I ready to reduce my comfort in exchange of monetary value? If I’m ready to accept that my house warms up to 25°C or 28°C, I will want to be paid by the ISO or DSO to have this flexibility taken away from me. That’s right. And what Blockchain can do is give the power to the community or to the individual asset-owner – the commercial customer. Of course, this is something that utilities may or may not consider as a wise move. But in my view, it’s much better to give the decision-making power at the level of the individual devices because I am best placed to know what sort of comfort I want. And maybe on a given day, I’m fine if my house is hotter because I’m alone. But maybe the weekend after, my family is coming and I want to make sure the house is cool because my mother is an old lady and I would like her to be comfortable. So this is a role that a Blockchain system can fulfil, by letting individual devices transact commercially with input from the residential customer. For cars, what the Blockchain can do is to give your car a digital identity. You and I could have a digital identity. But your car could have one too. What is interesting with that view of the world is that, when you talk about physical persons and moral persons, until now you would usually refer to individual people like you and I or organisations like a state or company. At the moment, you have to be either a physical person or moral person to transact on a contract. But you could imagine extending the definition of physical person to equipment. So your car could become a new form of physical person. Of course, you would need to change the law in order to allow this to happen. But you can tell this is the way history is going anyway: we are moving towards more and more intelligence embedded into devices. But why is it so important for an electric vehicle? Because your car won’t be charging always at the same place: it can charge at home, on the road, in the office. So you don’t have the same relationship that you used to have with your local utility. Moreover, your car is also able to provide a service to the grid. When your car is not running or charging, it can provide frequency regulation or voltage regulation to the local ISO or DSO. And you would expect to be remunerated for this. So for the first time, your car is going to be a centre of profit – so not just a cost centre but a profit centre. And why should we make any difference when your car changes owner? Maybe you will sell your car to your cousin, or maybe you will share it with other people. All this ownership of cars is something complicated that the ISO doesn’t really care about. So, you could perfectly imagine that your car remains the only counterpart that the ISO knows. And the money gets accumulated on a card that is owned by the car. Which is a way of reducing your electricity bill next time you charge the battery. The money can stay there, the car is just cheaper. So there are different ways of doing it but Blockchain technology can definitely enable a number of these new functionalities. Who are the biggest players in this area today? Are European companies leading or are they lagging behind? On the software side, actually, the most well-known Blockchain is Bitcoin, which remains a reference. But Bitcoin cannot do much of what I just described. The first Blockchain that has these technical capabilities is Ethereum, which is indeed developed by Europeans. The core development of Ethereum was done in Germany and many people from various European countries participated. It is indeed a more European technology. Now, we are building new enhanced versions of Ethereum which are more amenable to the type of transactions I’ve just described. Actually, no. They are very interesting organisations because Bitcoin or Ethereum are not owned by anybody. There is something called the Ethereum Foundation, but the chain is not owned by it, it has its own existence. So we also innovate on the organisational side. It’s an open-source system, then? Yes, absolutely. The economics are to some extent managed by tokens on the chain. So the token owners in a way own Ethereum but there is no clear ownership. 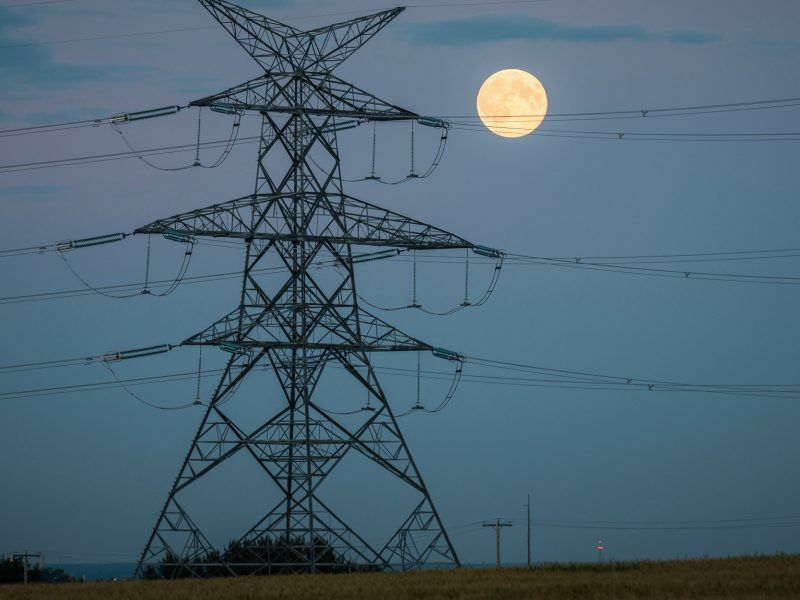 What are the implications of Blockchain for the traditional model of large-scale centralised energy generation, transmission and distribution? Does it mean the end of the centralised model? What is weakening the old model is probably less Blockchain technology than pure economics. If you look at gas, coal, nuclear – the cost of building those traditional plants has not gone down. If anything, it has moved up. Nobody in Europe is really interested in building new coal plants. Even in China, they are trying to reduce severely new developments because of pollution, environmental issues. If you look at gas, the main turbine manufacturers, GE and Siemens, have recently laid off thousands of people each. They’re not doing that much sales anymore and R&D is probably much reduced compared to a few years ago. So you can’t expect gas-fired power generation to improve much. Nuclear, I don’t want to comment too much, but you only have to read the news, the EPR in France hasn’t become cheaper and we’ve actually lost a lot of know-how. It’s true not just for France, but also in Europe and the US. So that’s what’s happening in the conventional power generation – it’s getting more expensive. The other thing that’s happening and that people neglect is that the grid is getting more expensive. And the reason is that, in the 1950s, 60s and 70s, we had relatively flat loads. Therefore, the utilisation of the grid was pretty high. But as we moved to more modern societies, with more equipment and air conditioning, the loads started peaking more often. Which means that you need to install more capacity to serve customer needs. But the average utilisation of the infrastructure is also lower. That means that the cost of moving kilowatt hours around is getting higher. And this is why the traditional solutions are becoming less and less cost-competitive. While distributed energy – whether you look at solar PV, batteries, smart controls, LED lighting, DC (which is going to be a significant revolution on the distributed energy side) – all the distributed energy solutions are getting cheaper and cheaper by the day, largely driven by micro-electronics and software. To some extent, they are also driven by innovation, like on the battery side. All that means it’s actually cheaper to provide electricity using distributed energy solutions than ever. And the cost of distributed energy is dropping very quickly whereas the costs of traditional solutions are either stable or increasing. So, those curves are intersecting each other. They have intersected in some areas, not in others, largely determined by the local price of electricity and the weather (whether solar PV is cheaper of not). So it’s not something which is happening brutally, it’s a gradual evolution. 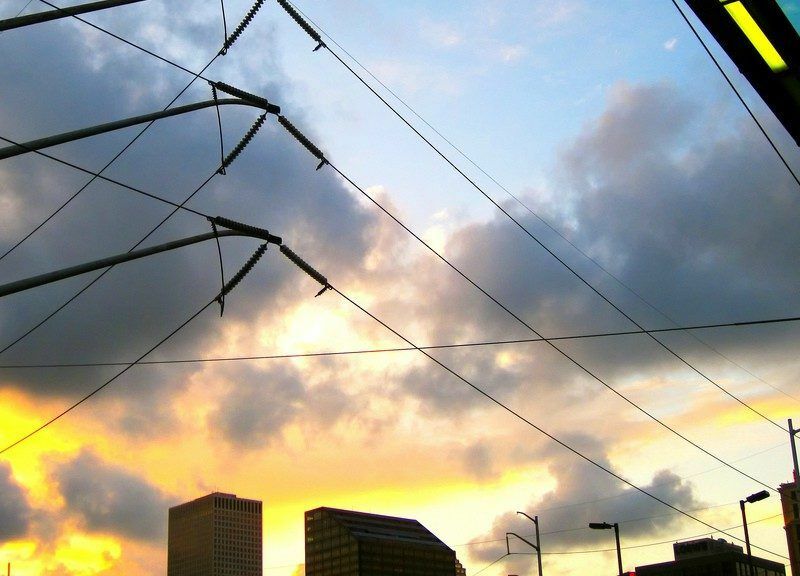 But it’s a fundamental trend that traditional utilities are facing. You say Blockchain allows for a more efficient use of grid capacity. But does it require additional grid capacity to transmit that additional piece of information? Yes. The best example you can take is cars. You’ve probably heard that Audi and Porsche are thinking about very fast chargers, at 750Kw. A typical house charger would be at 7 or 10Kw. Fast chargers today could be 50Kw. And some car manufacturers are already going at 350Kw, which is huge. Why is it huge? Because if cars run on a 10Kw charger, and you put one million electric cars on the road, then you’re talking about 10 gigawatts additional load capacity that the grid needs to be able to cope with. And if you put 10 million electric cars on the road, that means 100 gigawatts. It’s more than the total installed capacity in France or Germany, so it’s a huge number. 10 million cars is of course much fewer than what France has. So if you do it stupidly, you need to double the size of the grid in one country. So obviously if you let people charge their cars at home when they come back from work at 6 pm all at the same time, it’s not going to work. But up to now, the mindset has been for people to use electricity whenever they need it. They go home and expect their vacuum cleaner or my microwave oven to work, right away. You can’t let that happen with electric cars. That’s why you need to put intelligence in it. You need software that does some kind of optimisation. This is where Blockchain can play an important role – you can decentralise to the level of a car the economic analysis and optimisation so you can have a much better utilisation of the grid. I used to work for a think-tank in the US called the Rocky Mountain Institute, and we made an analysis on EV penetration in California. Our calculation showed that, if you charge cars at the right time of the day, you can indeed optimise utilisation of the grid. And as a consequence decrease the cost per kilowatt hour. That’s the beauty of it: EVs allow putting more electricity into the grid while getting a lower bill for customers. But it requires that flexibility is managed properly. Electric cars also require some centralised way of dealing with such transactions. Is artificial intelligence relevant in that context? On the centralisation part, we believe that with the right price signals, we can let individual cars make their own economic decisions, the same way that individual people in modern capitalistic societies make their own decisions. That’s exactly right. For example, if I have a car, I could leave the local utility the choice of where or when my car is being charged. And I’m going to bid for that, I’m going to put different prices for that. So I would probably need some AI in order to bid properly. Because over time, I will figure out that at times my flexibility is under-valued – i.e. : I leave money on the table. Or that at other times, my flexibility is over-valued – i.e. : my car doesn’t get charged. But how many people will actually bother doing that? A few traders maybe will have fun and will want to do it by hand but they will be very few. The vast majority of people will most likely either not understand what I’m talking about or won’t be interested spending their weekends doing this. So they will prefer having a piece of software that does it for them. What are the main challenges related to the energy Blockchain? We spoke about infrastructure. High energy consumption is often cited in the case of Bitcoin. So what are the challenges that could prevent the energy Blockchain from developing? There are a number of elements, some more difficult than others. One, we need scalability: today, Bitcoin and Ethereum have limits in their ability to run multiple transactions. So we need to improve on that. What kind of limit? Is it computational? 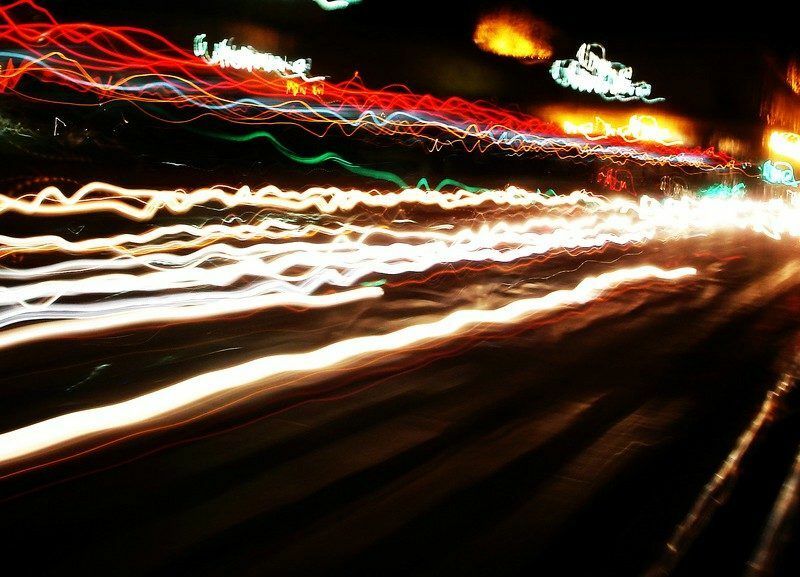 It’s a capacity limit: roughly, you can do five or 10 transactions per second. And that’s fine for what Bitcoin and Ethereum are doing today. But if you want to have every single electric vehicle running on it today, it’s not going to work. So you need to have a lot more capacity. We know technically how to do it, software needs to be developed. One solution which is heavily worked on these days is to have a multiplicity of chains that run in parallel and can be coordinated in a meaningful way. There is no reason, for example, to use the same Blockchain for energy transactions in California, China and Belgium, because there is no exchange of electricity between those countries. You can have the same software and the same interface but you can focus them on different geographic areas. Regulators may require that as well. I can imagine that the US regulator will find it difficult to accept that the regulator in Belgium or in China has something to say about what’s happening in California. And the same goes for the other countries. So for regulatory reasons, for capacity reasons and for technical reasons, we are moving towards not one chain but multiple chains working in parallel with each other. That can solve many problems. Another issue is critical infrastructure. When talking about electricity we are talking about probably the most complex and biggest machine that mankind has ever built. And it is so vital to our daily activities that evolution in the electricity sector will have to be done in a very careful way. We cannot switch from one model to the other overnight, we need to think about it carefully. Interestingly enough, Blockchain relies to some extent heavily on cryptography, which allows managing information in a very secure way. And Blockchain technology indirectly can considerably reduce the risk for cyber attacks in electricity systems. So, I think regulators are right to ask questions about what new risks could be introduced. 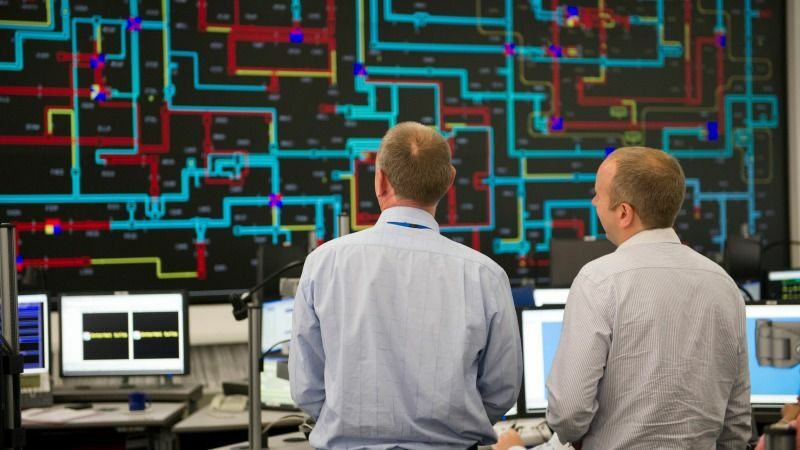 But they are also quite keen to understand how Blockchain can help address what is one of the biggest threats for electricity today – and that is cyberattacks. And that’s because the energy is distributed, right? Yes. By definition, Blockchain is very redundant: data is copied many times, there are many different nodes running, so it’s very difficult to bring the system down. Also, Blockchain will force electronic equipment at home to have digital identities, which means every single piece of equipment will have a different password, which happens to be a very long and recognisable key. So, the very simple type of attacks that we have seen many times on the internet these days are much less likely to occur with Blockchain. But the multiplicity of transactions on the Blockchain also consumes a lot of energy. How can that issue be resolved? It’s a very important point, but from our perspective, it has been solved. Bitcoin and Ethereum indeed consume a lot of energy – Bitcoin at some point reached 1,000MW, so it could be higher now. And that’s a considerable amount of electricity. In Bitcoin, everybody can become a node in the network. Therefore, since there is no vetting of participants, the system is designed to be paranoid, basically. And that costs a lot of computing power to survive in such a potentially hostile environment. Whereas, in our network, we only have vetted organisations taking part in trades so we know them very well. And therefore the requirements are not as strong. As a consequence, we can run an algorithm to manage the chain that requires a lot less electricity. It’s around 100 or 1,000 times less electricity. So this problem is gone as far as we’re concerned. Turning to regulation now: How should regulators adapt to the energy Blockchain? Is regulation currently a roadblock or an enabler? Regulators are really intrigued. At this moment, it’s more about informing them about what this technology can do. There are currently six or seven countries who want to talk to us to figure out what can be done and we’re ready to talk to the European Commission and the European Parliament as well. If I have a message to convey to regulators, it’s that this technology can make their lives a lot easier. Because it’s about putting the information in an open place. The information can still be encrypted, it’s not that anybody can read it. But it’s written once and cannot be modified later. So regulators can trust that companies are going to report this information very carefully. And it makes the entire process of regulatory reporting much simpler. Because the only thing that the regulator needs to do is to give an encryption key to the various companies that they are regulating. The information is stored on the chain, and the regulator can read it the way they want. Of course, you can also do the same thing on a file. But the advantage of Blockchain is that the same information is also used for trading, for buying and selling assets. So it’s not just a report on a piece of paper – it’s the truth, it’s what’s happening for real. And the regulator can follow economic activity as well. So that’s what makes this technology really different from anything that’s been done before. The EU is currently reviewing the rules of the internal electricity market. They’re looking at things like regulating energy communities, decentralised energy generation and so on. What would be your recommendations to them, broadly speaking? It’s very important that the EU opens the distributed energy market. Because it’s going to be cheaper than the historical alternatives – when it’s not already the case, depending on the regions. From the perspective of regulators, which is to put the interest of consumers above the interest of corporations, it makes perfect sense. My recommendation to them is to think carefully about protecting the customer, making sure the technology is solid and tested. And at the same time, designing the grid in a way that allows people who are located in the same region to trade with each other, to look and manage their energy needs together, before moving to the next level. Think about it as a fractal grid infrastructure: you first optimise at the level of your house, then you optimise at the level of your bloc or neighbourhood, and then you can optimise at the level of your village or town (technically, at the level of a sub-station). And then you can optimise at the level of the overall grid. Doing it that way can provide a lot of economic advantages to the community. There is a German company called Sonnen, which has introduced a way for people to exchange electricity virtually with each other when they are part of a Sonnen community. So allowing peer-to-peer transactions is also important. It’s not just something that helps lower the cost of electricity, it also answers a societal need for people who want to decide what type of energy they consume. So there is a societal element which is completely new in the electricity sector. 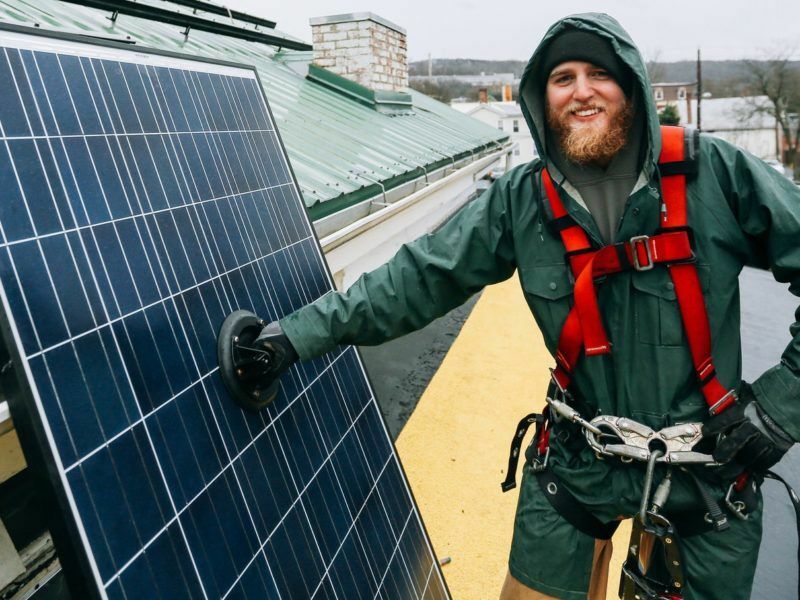 I think it’s clear that we are seeing a very significant change, with a growing fraction of the community caring about climate change, caring about how energy is actually produced and taking action about it. So enabling that is also important. If your only tool is a hammer – every “problem” is a nail. We seem to have entered this territory with distributed ledger systems – aka “blockchain”. I do not blame the IT sector and its supporters such as Mr Touati making wide ranging claims – after all they want to continue to expand the IT sector and see renewables as a great place to do it. However, the need for blockchain-like systems is at best unproven, Mr Touati is full of assertions – but none of them constitute a clear case for blockchain (which incidentally is a very heavy user of electrical power). Blockchain does not “measure” electricity production – this is done using electricity meters. After that the data can be treated in a variety of ways and can be encrypted to prevent tampering. Distributed ledgers is but one (energy intensive) way of doing this. As for the claim that “with Blockchain you don’t need human intervention” – this falls into the category of nonsense & I would have expected somebody with a Phd to have talked more sense. As for reliability (blockchain is more reliable) – the more computers you have in any system so the MTBF (mean time between failures) falls i.e. systems become more unreliable. Blockchain depends on computers and the more participants in any given system – the more computers & the higher likelihood of failure. “check that the meters haven’t been tampered with” there are algorithms that can do that – you don’t need blockchain and neither do existing systems take “a lot of time and money”. As for 10kW installations on a roof – the reason they are unable to participate in “markets” is regulatory and political. Roof top systems will sell electricity locally – time stamping and agent software would be a much simpler route & less energy intensive. As for community solar – it is as if digital signatures never existed. Why would you need to use a notary for community solar? Well maybe you would in France aka EdF-land. How blockchain would change this situation is never explained. Bringing down costs? use digital signatures to time stamp energy transactions – no need for blockchain and all that lovely IT – oh hang on – but Mr Touati wants to sell loads of I.T and software etc – hence the “blockchain is the only answer”. As for air-conditioning in the home – it appears that Mr Touati is somewhat “out of the loop” A/C systems coupled to PV & with the ability to store “cold” as ice (and thus able to function when the sun goes down) exist, now. Taking part in power markets then becomes an irrelevance. Throw in some battery storage for night time and the home moves towards a significant measure of energy independence. Interact with the DNO? why bother? Where the interview veered towards very misleading is the comment on cars having a digital identity and that Blockchain is “just the job”. Any car can have a digital identity through the use of a unique Internet Protocol number – the most recent version IPv6 has an almost infinite number of addresses which can be assigned to an infinite number of objects – you do not need blockchain to do that. As for cars providing frequency services and getting paid for it. Perhaps when there are, as now, few EVs on the road – when they are ubiquitous then the provision of FR will probably be part of having an EV – & will not be remunerated. As for demand response – it has been around for ages. The problem, is that the power generators (like EON ) don’t like it. The section on EV charging was infantile both in the positioning (everybody charging at once – yes you could say the same about what happens if all cars need to refill with fuel at once) and content. It also ignored reality – the daily commute and the modest amounts of electricity needed to re-charge. This can be managed at a local level between the EV and the local substation – which defines network headroom. No need for blockchain & certainly not for centralised systems. What people want is a car that has sufficient charge in it in the morning to get them where they want to be. As for EU energy regulators – they only actions they take is to regulate to keep the usual suspects in business. Doubtless once the usual suspects (EON etc) start taking lobbying for energy-blockchain then it will happen – but not in a way that will help the bill paying public.